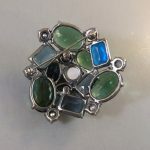 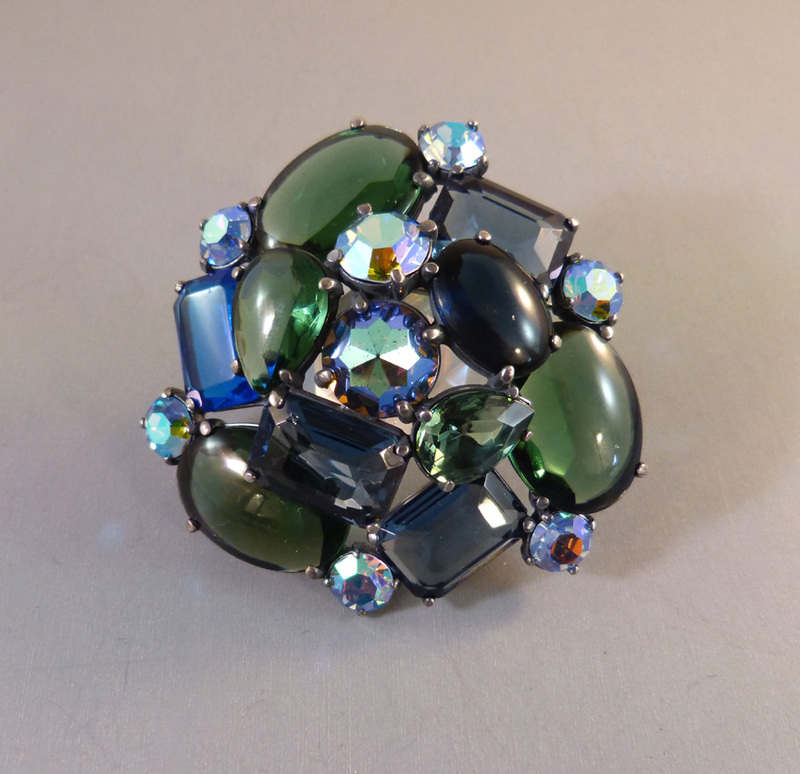 SCHIAPARELLI blue and green foiled and unfoiled rhinestones brooch with aurora borealis accents set in silver tone, unsigned, 2-5/8". 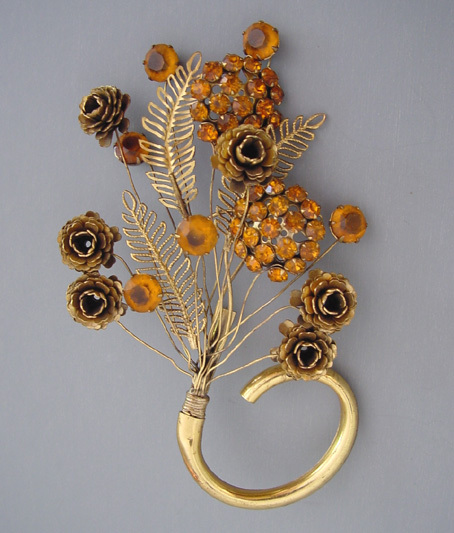 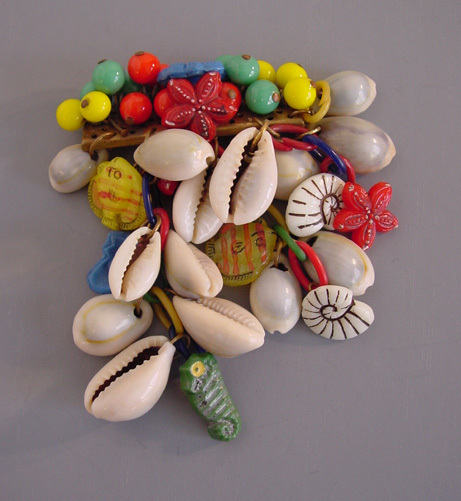 The Schiaparelli brooches in this style are always substantial and well-made, and this is no exceptions. 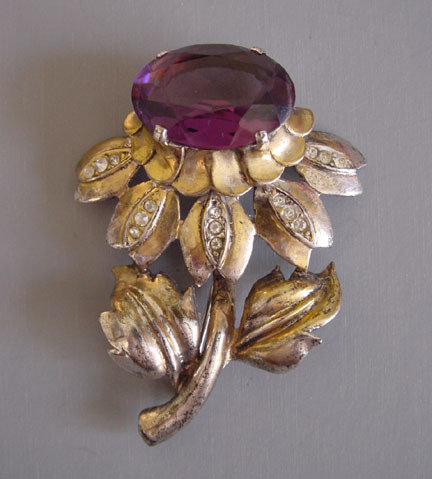 Along with the brilliant high quality stones, this make for a fabulous look. 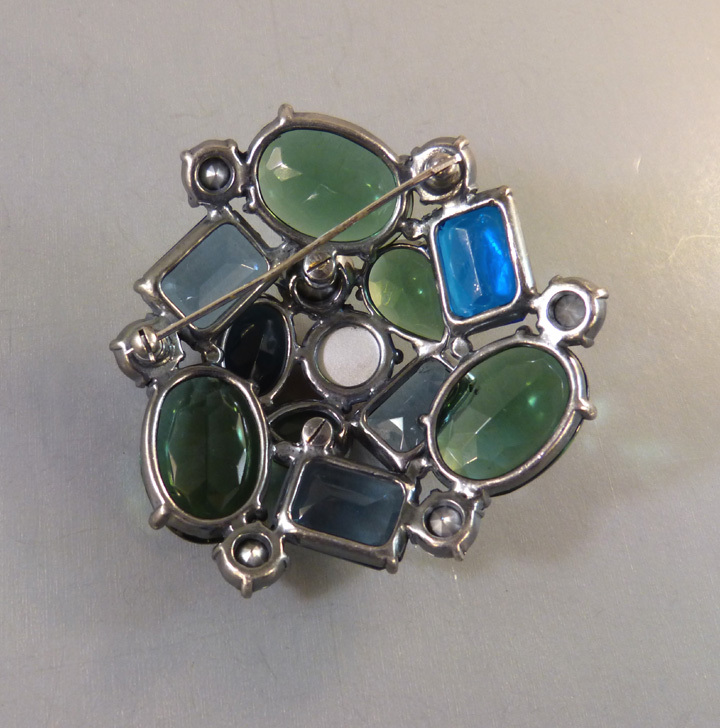 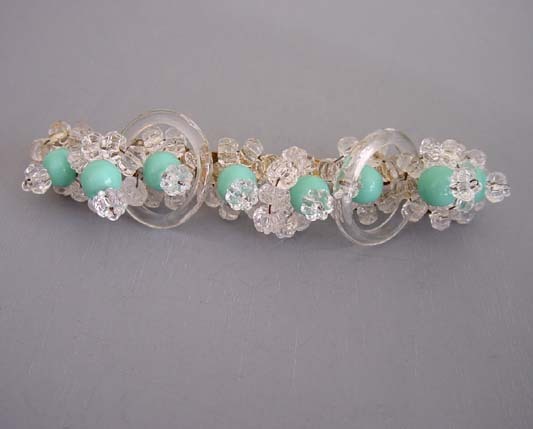 The sets in this style were often signed on the earring backs but not the brooches, and you can see other examples of this on my gallery page HERE.